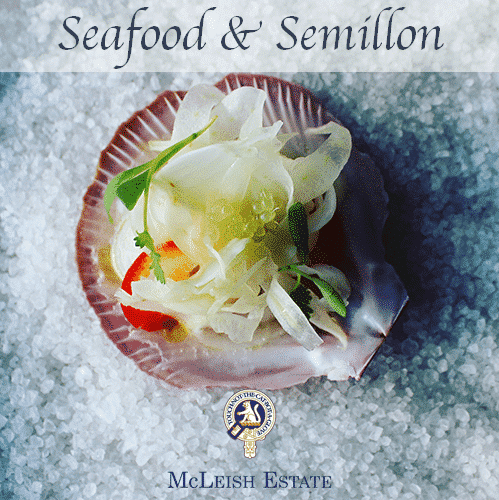 As the days become warmer and with festive season upon us, a perfect pairing to our McLeish Semillon is seafood. 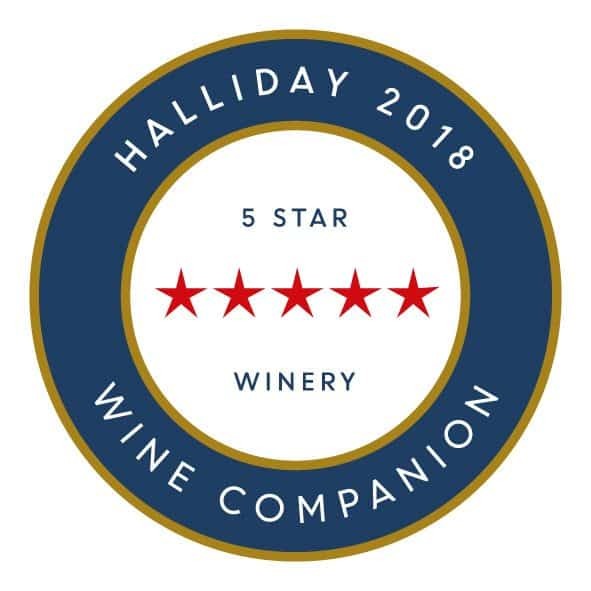 Our good friend Head Chef Steve Hetherington at Manta Restaurant in Woolloomooloo has given us the hottest Half Shell Scallop Ceviche recipe to perfectly match with our zesty crisp Semillon. The key to this Semillon and Seafood pairing is a balance of sweet, acid, freshness and texture. The Hervey Bay half-shell scallops are a beautiful fresh Australian product, naturally sweet and taste of the ocean. Using lime juice to cure them gives a lovely creamy texture. 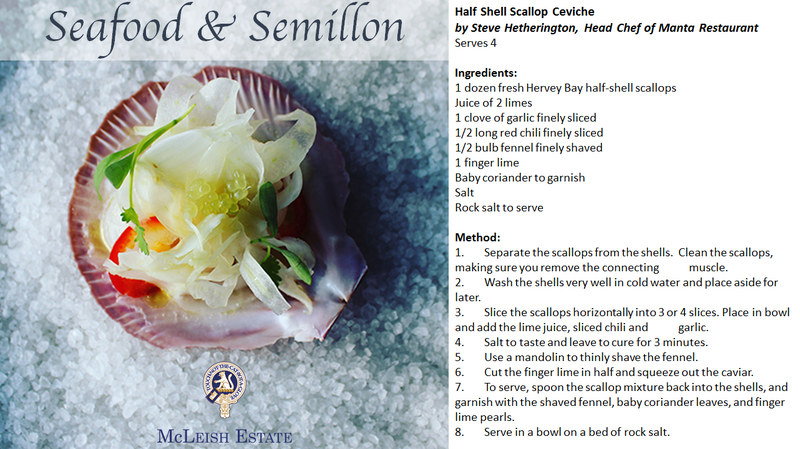 The sweetness of the scallop with the acidity of the Semillon, provides a lovely balance to the dish. With a real zingy pop and additional texture. A great dish on a hot summer’ day and highlighting the best NSW produce.